Family and friends gathered inside of Chano's Place for a barbecue benefit to pay for Trevino's funeral expenses. 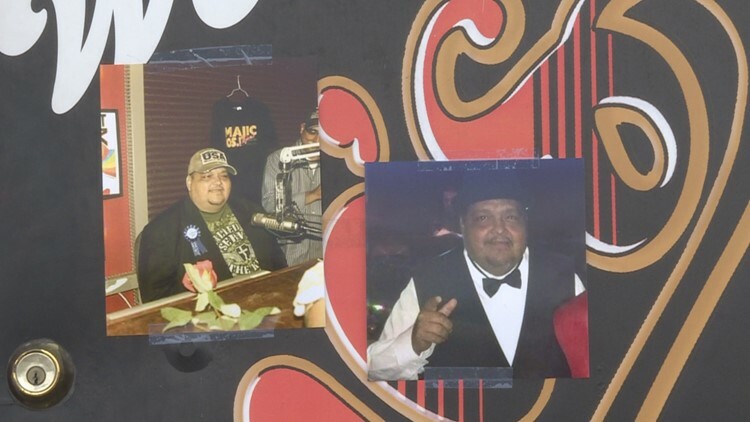 CORPUS CHRISTI, Texas — A family broken by tragic loss was pieced back together by the love and support of the South Texas Tejano Music community. On Tuesday, February 5th, Timothy Trevino A.K.A., Sugar Bear, passed away from health complications. His older sister, Andrea Amaro said he was the baby of the family. "He means a lot, he was so cute when he was little," she said. Timothy was the youngest of 14 children. Two of his sisters, Angie and Andrea, joined family and friends on Saturday as they raised money for his funeral. "He touched everybody's lives, you know, his heart was so big, so filled with love," Angie Trevino-Mondragon added. Chano's Place in Corpus Christi hosted the fundraiser barbecue for Trevino. Several people attended, including local musicians and other DJ's. "He meant everything to us here at Chano's Place," Rudy Benevides said. Trevino was a radio DJ for several radio stations, including Majic Tejano in Corpus Christi. They all claimed his name properly represented him; Sugar Bear was friendly, sweet and warm. "He loved radio, he would do anything for radio," Herman Mejias, a music director, explained. Trevino's loved ones said Sugar Bear left behind a legacy that will never be matched. "Sugar Bear, you're gone but you'll never be- you'll never, ever be forgotten, guarantee you that, your legacy, your imprint will be left here at Chano's Place," Benevides said. "His journey's over on this Earth but I know we're gonna see him again."